Guest Blogging For Backlinks - What Does Google Think? 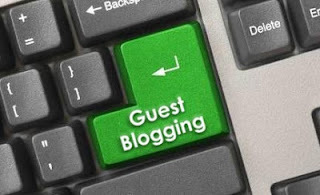 Guest blogging is a very popular way of getting backlinks for a site. It is an effective marketing strategy for a blog, and allows you to publicize you content to places beyond your reach. In short, guest blogging is when you write for another website, free of charge, in return for a backlink (or two). And we have already talked about how linking is important for your website. But doesn't it all look a bit convenient? As in, anyone can write (or spin) articles, and get them published on other websites and get more links to rank higher in Google? Here is Google's take on the subject, along with some best practices. Is guest blogging worth it? So, is guest blogging is worth it, and is it beneficial for a site or site owner? Well, there is no simple one-line answer to that. First, think about what are the best case and the worst case scenarios in guest logging? The best case scenario would be when you are a good quality writer, and have something valuable to contribute to a website. From Google's viewpoint, it's all about quality. In the case of the top bloggers out there, they can post as many guest posts as they want, and the host websites should be glad of gaining something useful. Even if you're not a well known bloggers, but you can write well and create new and unique content, then it's your opportunity to get known in the world out there while making links. In such cases, you can dish out as many guest posts as possible, and build links to your heart's content. A guest post is only good as long as it's valuable, and has something to contribute. People often write one blog post, and submit it to multiple blogs as "unique" posts. When more than one blog accepts those posts, they become duplicated, hence putting the blog's integrity at stake. While this may not harm the guest blogger directly, it will effect his reputation. Article spinning is a very popular practice as well. People write one article, and rewrite it multiple times and change the wording so it won't be picked up in a plagiarism checker. This might be smarter than submitting the exact same article to multiple blogs, but it still is dumb, and a noob's way out of things. And this is where Google steps in. If Google detects that you have submitted similar guest posts then all those backlinks might be discarded. So far from proving useful to your website, it'll only be considered as spam, and will be a waste of your time.